Fashion Maven... Mommy: Pixi Faves! Ok so i adore Pixi! Clearly if you read my blog you already know this! This month's selection is filled with some of my favorites so lets get right to it! 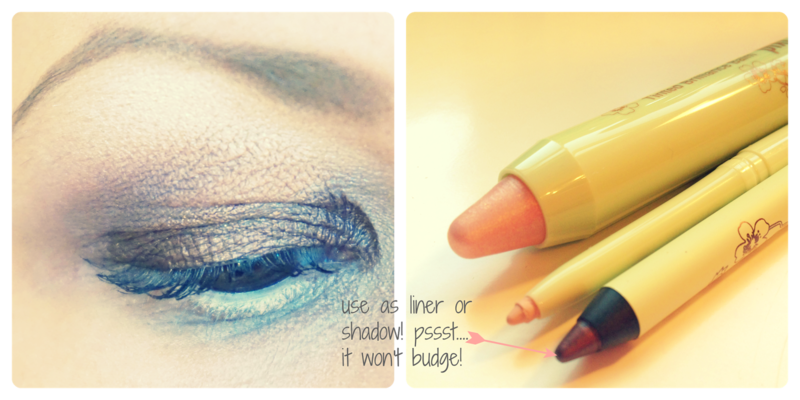 The Pixi Eye Bright Liner is easily my favorite eye brightening pen for the waterline. It's water proof and does not irritate my sensitive eyes. I can also attest to the fact that this baby lasts! A simple swipe across my waterline and it instantly brightens my eyes! Pixi's Endless Silky Eye Pens have an amazingly smooth consistency. Their intensity is unsurpassed! They pack on the color and last for hours upon hours without budging! I love wearing them as liner but often use them as shadow! They glide on the lid so easily and blend beautifully! Copper Glow is so my thing right now! If you're looking for a gorgeous lip balm that feels amazing on and gives your lips a subtle glow, Tinted Brilliance Balm in Lucent Glow is just what the doctor ordered! I find myself reaching for it often, particularly this time of year when I don't necessarily want to pack on a strong lip! Pixi's Quick Fix Bronzer in Velvet Bronze is my new obsession. This beauty made it to my June's Favorites list for a reason... actually for various reasons! First, it applies so beautifully leaving your skin with the most perfect sun-kissed glow! Second, can we please chat about the awesome packaging? The sponge applicator makes for a mess-free application! Think about it, this is the perfect makeup bag situation! I mean, you don't need a brush to apply so you can simply toss this beauty in your make up bag and you're good to go! Lastly, i love a good setting spray! Setting sprays really help prolong the life of makeup on your skin. Pixi's Makeup Fixing Mist is infused with rose water and green tea protecting and balancing skin for a fresh face. You don't just have to wear this after makeup... splash it on before as a primer or anytime really that you just want to refresh and hydrate your skin! It's so good! So lets chat... what are your Pixi favorites? I've chatted about the Glow Tonic a million times but if nothing more, you need that in your life! Trust me! Wow. Would love to try that make-up mist! Your make-up looks fab!